Santa Barbara Chocolate brings to you the very best in wholesale couverture chocolate for your eating pleasure, favorite recipes or building your successful business. Easy and affordable "no worries" flat rate and FREE shipping within the USA allows you to shop freely. We even use insulation and ice packs at no extra cost to you. Every bulk chocolate we present has been thoroughly tested in a variety of candy making and baking scenarios for ease of use, versatility, flavor and luster. You'll discover our couverture chocolate is of the highest gourmet quality at the best prices. We also import organic Belgian couverture chocolate that is a favorite with chocolatiers who seek easy to melt and temper chocolate. Since 1992 our success has been built upon repeat customers like you. Your satisfaction is the measure of our success. Shop online and buy bulk chocolate couverture, the professional's choice, direct from Santa Barbara Chocolate your wholesale chocolate factory supplier. We import our custom made chocolate couvertures directly so we can get the freshest and highest quality chocolate. Santa Barbara Chocolate is known for quality and craftsmanship. In fact the ingredients and standards used in our organic chocolate is at a level by which other bulk chocolates are measured. Santa Barbara Chocolate experience guarantees you'll get the best chocolate in the world. You see, we know Americans, and we know Californians especially well. We understand what flavor profile and recipe development you appreciate best. We know the types of raw cacao and sources of ingredients to combine to make the best chocolate that Americans appreciate. 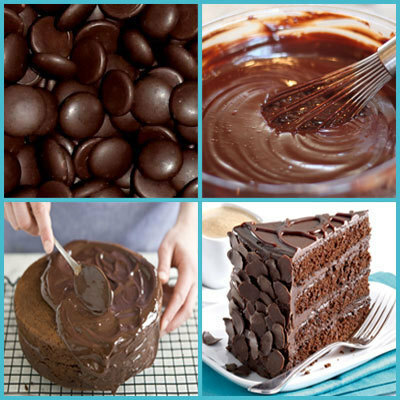 Why do you love gourmet dark chocolate? Is it because of the rich taste, smooth melt and big smiles you share while eating some? Do you love the best dark chocolate because it is the basis of your chocolate making business and you feel awesome seeing the happy faces of your customers who savor your creativity? We love our dark chocolates for all these resons and more. High quality organic chocolate is a simple indulgence in life that can easily be shared with the people you love, creating moments that all add up. Our dark chocolate can be the base from which you craft the finest desserts and most savored times. So try the best chocolate direct from our chocolate factory. 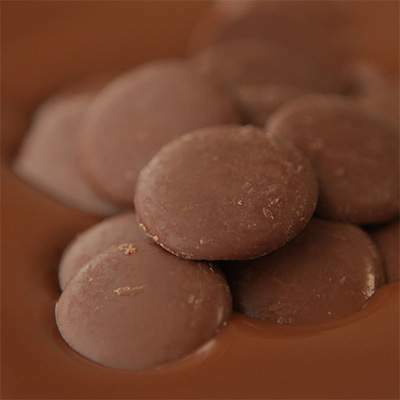 Choose dark chocolates that are known for their quality, flavor, ease of use and smooth lingering melt. Santa Barbara Chocolate is your friend in chocolate supply. Santa Barbara Chocolate Co. has been built on quality chocolate and the best customer service. It would be a pleasure for us to be your wholesale chocolate supplier and bulk chocolate specialists. Kosher certified and organic dark chocolates are our specialty. We even have a range of Pareve certified cocoa powder. The real taste and true taste of cacao can be found in our rare chocolates. Made with real rainforest cacao from deep in the jungle of exotic equatorial lands, this is the taste of chocolate. Santa Barbara Chocolate has made your life easier by our extensive research and guarantee of quality so you can trust you will get the best. Santa Barbara Chocolate's chocolates will exhibit the unique flavor profile of single origin chocolate. Biting into one of our rich couverture chocolates you'll be transported to a world away with the fragrant nuances of pure and exotic cacao. Try one of our rainforest chocolates today and you'll know what we mean. Our chocolate couvertures have no added preservatives and they are made with natural cocoa butter from the cacao pod seed. If vanilla flavoring is added, it is only natural vanilla. Craftsmanship, quality, value, respect - aren't these the attributes you want in a wholesale chocolate supplier? We started out as a small business making chocolate truffles and distributing candy making supplies. We worked sometimes 14 hours a day to get the job done. We know what it takes to run a company and we understand how important it is to have partners in your supply chain that you can count on day in and day out. Santa Barbara Chocolate appreciates your business and we understand the value of a customer and the relationship. Santa Barbara Chocolate is here to be your long term partner providing you the best dark chocolate, wholesale cocoa powder, melting chocolate, dipping chocolate, gourmet chocolate truffles and even rare organic chocolates. Our bulk chocolates are certified Kosher chocolate and our wholesale cocoas are certified Pareve. Help us help you, if you don't see what you'd like to buy, tell us so we can help you find exactly what you need. At the end of the day, the measure of our ultimate success will be your success. Together we can bring happiness to many people and in the process have an incredibly rewarding future. Live long and prosper. Santa Barbara Chocolate Rainforest Cacao and Cocoa Powder blends are of exotic origin. All exclusive blends, ethically traded adhering to the highest standards of quality. Our cocoa powders are not loaded up with fillers or ash. A tablespoon of our rainforest exclusive cocoa powder will offer a bigger flavor impact and satisfying taste. Perfect for all baking recipes, smoothies, hot chocolate drinks, frostings, cakes and brownies our cocoa powders are smooth, unsweetened pure cocoa goodness. 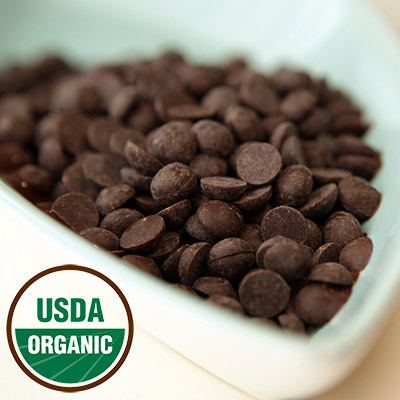 Santa Barbara Chocolate's organic dark chocolate is USDA certified, ethical trade, and Kosher Pareve. Customers all across the United States, as well as internationally, enjoy Santa Barbara Chocolate's organic chocolate that can be eaten right from the package or is perfect for candy making and baking. The company was founded in 1992, and has been a trusted source for the chocolate lover, chef, and baker since that time. Santa Barbara Chocolate's bulk organic dark chocolate is 72 percent cacao without soy lecithin. It is a real taste of South American cacao and offers the subtle floral nuances of raw cacao grown in the Amazon's headlands. Santa Barbara's organic dark chocolate is gluten and GMO free, ethical trade cacao, and Kosher Pareve chocolate. The key to the company's high-quality organic chocolate is how the cacao is sourced. Santa Barbara Chocolate gives their certified organic Theobroma trees 32 square feet of space each, so the tropical rainforest winds can blow around all four sides of the tree and penetrate the branches. This ensures the organic cacao fruit develops and ripens properly and with full flavor. The company relies on dedicated cocoa farmers to check the trees daily to see how the cocoa pods are ripening. They tend to each with care knowing what each tree needs to grow healthy fruit. It is from the healthy organic cacao fruit that Santa Barbara Chocolate brings to market their organic chocolate. "Santa Barbara Chocolate's success comes from our commitment to quality and the value we provide, offering flavorful and memorable chocolate for our customers," says Jason, CEO of Santa Barbara Chocolate Company. "Chocolate lovers across the globe enjoy our one-stop shop for the freshest and highest-quality chocolate available on the market today." Santa Barbara's Chocolate's product are made from a true chocolatier's perspective of what makes high quality, safe and feel good chocolate. 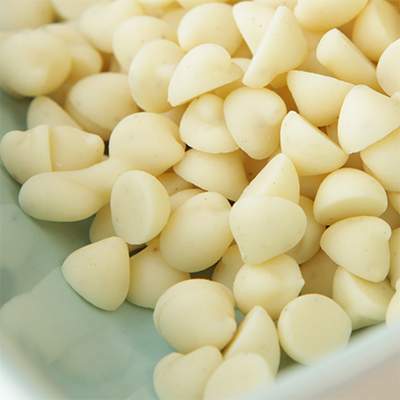 It is soy free and many customers who are gluten intolerant, buy the company's chocolates. The company also offers recipes on their website that highlight year-round chocolate treats. From a chocolate energy drink and cake truffles to their holiday lavender chocolate ganache recipe, there's something for everyone. 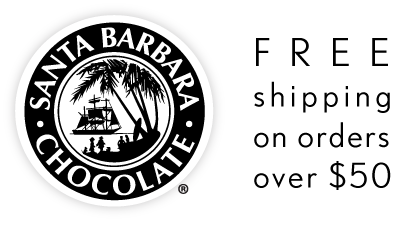 Santa Barbara Chocolate also offers flat rate shipping and free shipping. 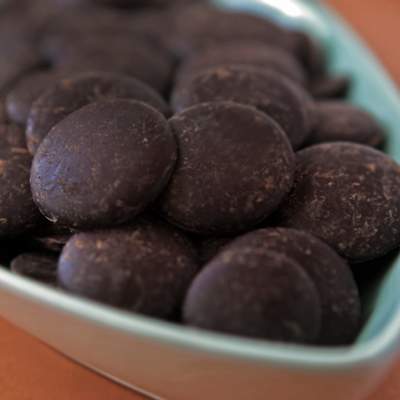 Santa Barbara Chocolate Company is a California chocolate factory that supplies bulk wholesale chocolate chips, makes organic chocolate couverture and imports Belgian baking chocolate.